Wikipedia, the most frequently used source for information on the Internet, just launched a month-long campaign to improve its coverage of historic and cultural sites in the United States. Called, “Wiki Loves Monuments,” it is an international photo competition where participants capture cultural heritage monuments and upload their photographs to Wikipedia. For the first time in several years, Wiki Loves Monuments is back in the United States. The contest is inspired by the successful 2010 pilot in the Netherlands, which resulted in 12,500 freely licensed images of monuments that can now be used in Wikipedia and by anybody for any purpose. The 2012 contest in 35 countries resulted in more than 350,000 images submitted by over 15,000 participants, adding to the sum of all human knowledge gathered on Wikipedia. The contest ends on September 30, 2016. Anyone is welcome to contribute to the project by uploading photos they’ve taken of cultural and historical sites throughout the United States. Once September is over, the best photos will win cash prizes and will be submitted to the international competition. In addition to taking photos, Wikipedia is also encouraging editors to write Wikipedia articles on historical sites and monuments as part of the event. They are also developing state-level guides to historic sites and have already created versions for California, Ohio, and Washington. Here’s a chance to fix that skimpy or inaccurate entry about your site or show a stunning photo (in my home state of Maryland, Belvoir is a particularly awful example). Better yet, engage those photographers among your members to help you promote your site and others in your community. Just remember, you’re putting this into the World Wide Web, so content will be freely and easily used by others (what will Getty Images do?). If you’re looking for inspiration, Wikipedia is providing links to the National Register of Historic Places, Historic Civil Engineering Landmarks, and Daughters of the American Revolution Sites (hey, where are the Colonial Dames?). This entry was posted in Community engagement, Historic preservation, Historical interpretation, Resources, Social media, Technology and tagged Wikipedia on September 8, 2016 by Max van Balgooy. Thanks, Max, for posting about this. You are exactly right about this being a simple, easy way that people can improve listings. Wikipedia is nearly always the first or second result for any search, and their coverage of historic sites is far better than any other I’m aware of. A few years ago I lost my patience with individuals who turned up their noses at Wikipedia and felt it was beneath them. If you are serious about history and historic preservation, then ignoring Wikipedia because it doesn’t fit your mental model of what a reference work should be is the height of arrogance. Instead, if you don’t think a listing is accurate or complete, fix it. Period. 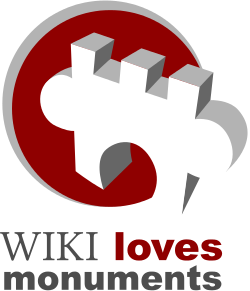 No other widely-used site gives all users the ability fix and improve the way Wikipedia does. Take advantage of it.